Alan Weil is Editor-in-Chief of Health Affairs, the nation’s leading journal at the intersection of health, health care, and policy. Before joining Health Affairs in 2014, he worked for a decade as executive director of the National Academy for State Health Policy (NASHP), an independent, non-partisan, non-profit research and policy organization. Previously, he directed the Urban Institute’s Assessing the New Federalism project, one of the largest privately funded social policy research projects ever undertaken in the United States; held a cabinet position as executive director of the Colorado Department of Health Care Policy and Financing; and was assistant general counsel in the Massachusetts Department of Medical Security. Alan Weil is a frequent speaker on national and state health policy, Medicaid, federalism, and implementation of the Affordable Care Act. He has testified before Congress more than half-a-dozen times and is called upon by major media outlets for his knowledge and analysis. He is an elected member of the National Academy of Medicine and served for six years on the NAM (and its predecessor, the Institute of Medicine) Board on Health Care Services. He is a former member of the Medicaid and CHIP Payment and Access Commission (MACPAC). He served for 12 years on the Kaiser Commission on Medicaid and the Uninsured and for 10 years on the board of directors of the Essential Hospitals Institute (and its predecessor, the National Public Health & Hospitals Institute). 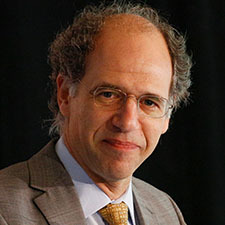 He earned his bachelor’s degree from the University of California at Berkeley, a master’s degree from Harvard’s Kennedy School of Government, and a J.D. from Harvard Law School.